After writing to the Minister for Planning we have been advised we will now have 6 weeks now to respond to KEPCO's EIS, instead of the 4 weeks we had orginally thought. Better than 4, but still not very much time! The pristine Bylong Valley has some of NSW’s best agricultural land and has historically hosted beef, dairy and crop farming and horse breeding. Today it is predominantly beef cattle and lucerne hay production, with some crops. The valley has a long and proud thoroughbred breeding history. Since the 1850s it has bred thoroughbred horses, including racing champions and 'Walers' which carried the WW1 Light Horse Brigades. The Bylong Valley's beauty is renowned and it is a National Trust listed Landscape Conservation Area (2013), based on its ‘prime agricultural land with a rural landscape of exceptional scenic value’. The National Trust also notes the major scientific significance of the area, stemming from implementation of Peter Andrews' Natural Sequence Farming on the internationally renowned 'Tarwyn Park'. The future of the Bylong Valley hangs in the balance. Korean-owned KEPCO are buying up the valley ahead of plans to develop a massive new coal project. KEPCO has plans for two open cut coal mines (to operate for 10 years) and an underground mine (to operate for 20 years), to dig up 6.5 million tonnes of thermal coal a year, with 24/7 operations. If this big new mine complex goes ahead it will transform the pristine and productive valley into a series of coal pits and industrial coal infrastructure. In the coming weeks the "Environmental Impact Statement" for this proposed mine will be released. This is a huge document that details how the mine would operate and manage its impacts on the existing environment. KEPCO have had years to prepare this plan and we have only a few weeks to respond. We want to enlist the help of experts to properly scrutinise this massive new mining project. But we don't have much time, and we can't afford to get expert advice without your help. Read more about the Battle for Bylong at battleforbylong.org.au, or find us on Facebook at facebook.com/battleforbylong, or follow us on Twitter @battleforbylong. Bylong Valley boasts some of NSW's best agricultural & thoroughbred breeding land. Now Korean-owned KEPCO want to put a massive new coal mine in the valley. 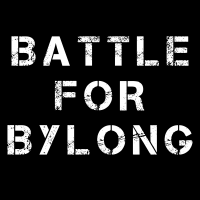 Can you help us win the battle for Bylong? * $3,222 in offline donations included in total.